We wrote about the Cartier Tank MC in palladium last July. 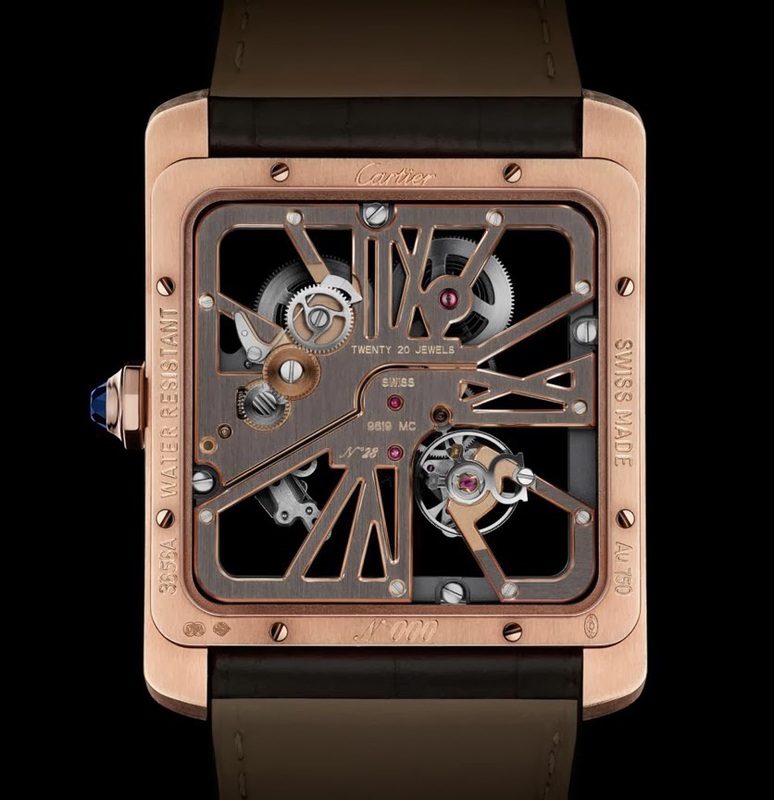 Cartier is now presenting the Tank MC Two Tone Skeleton. The model will be showcased during the 2014 edition of the Salon International de la Haute Horlogerie that will be held in Geneva on January 20-24, 2014. Features and size (43.90 mm x 39.10 mm) are not changed, with the hour indices serving as bridges of the movement, but this new version is particularly fascinating for the combination of rose gold and dark grey tones. 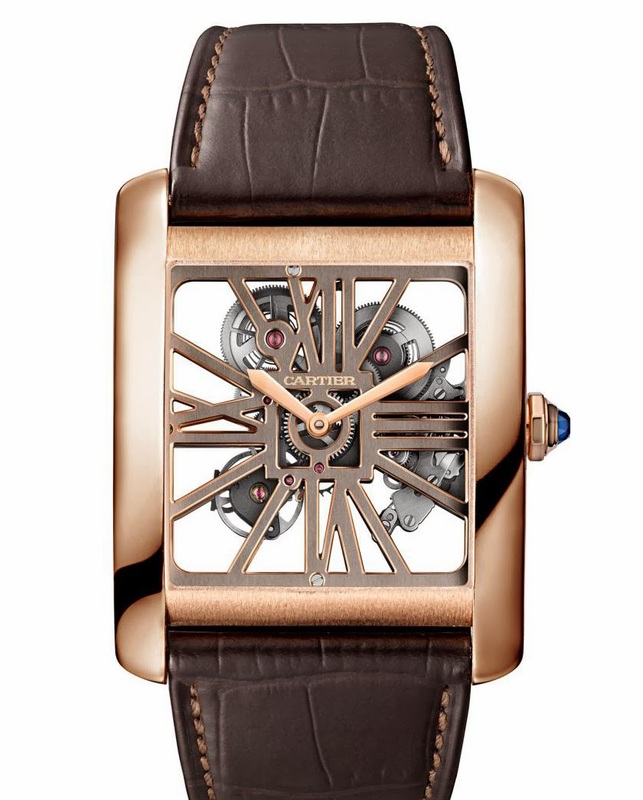 The brass movement was given a dark grey ruthenium coating with polished bevels plated in rose gold. The hand-wound Calibre 9611 is individually numbered and offers a power reserve of 72 hours. 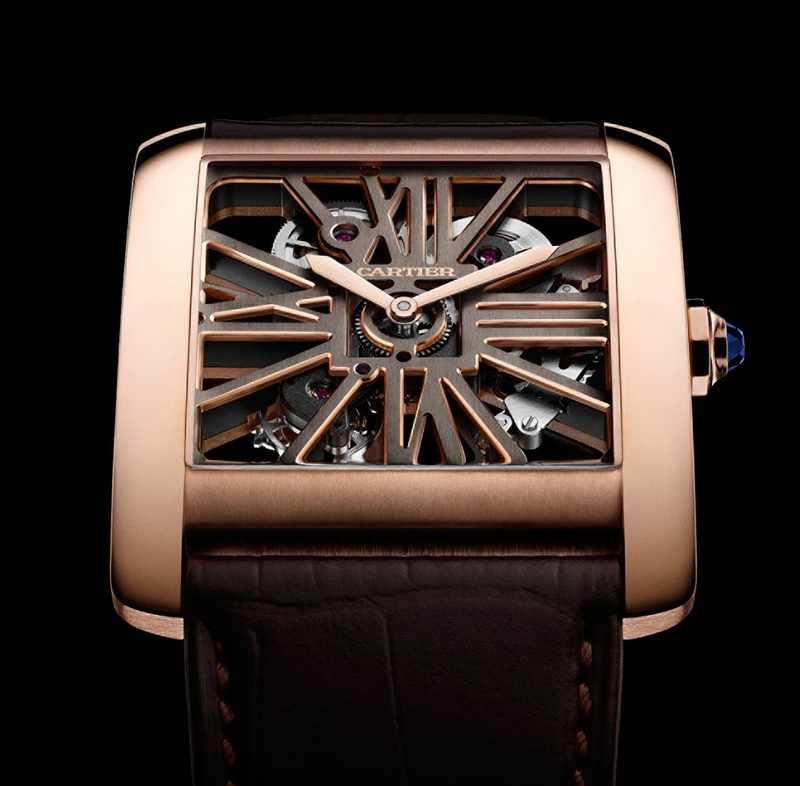 A SIHH 2014 preview, Cartier is now presenting a new Tank model: the Tank MC Two Tone Skeleton.